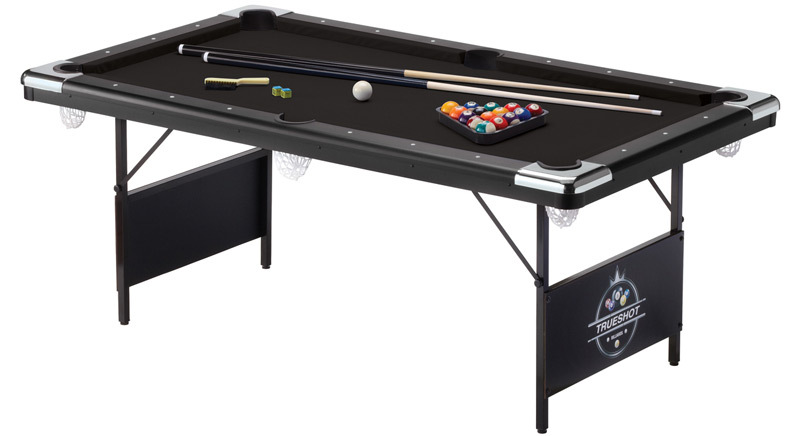 For quick and easy fun, there’s none better than the Trueshot Billiard Table with foldable legs. This innovative design couples compact design with surprising portability. 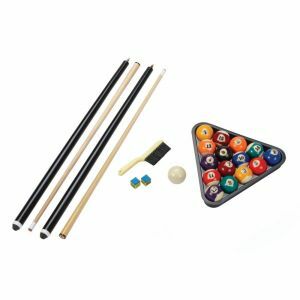 For those that are tight on space and want to enjoy their favourite classic table game, the Trueshot is the perfect solution! 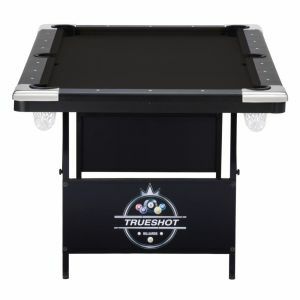 Featuring high strength material means not sacrificing quality for space, as the surface of the Trueshot table will be sure to play smooth and fast. 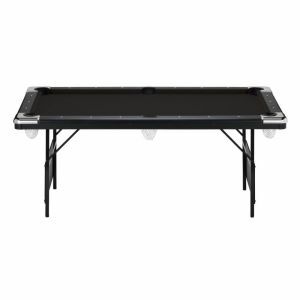 Featuring a sleek black cloth design, this table will complement any decor.